Child-friendly? Iron Man 2 is the much-anticipated sequel to the original blockbuster film based on Marvel’s superhero Iron Man. The movie will most likely appeal to fans of the original Iron Man movie as well as other action and films based on comic book superheroes. Parents need to know that this sequel has more action and violence than the original and may not be suitable for children and tweens. It is recommended for kids aged 13 and older. In Iron Man 2, the world is aware that billionaire inventor Tony Stark is the armored superhero Iron Man. Under pressure from the government, the press and the public to share his technology with the military, Tony is unwilling to divulge his secrets because he fears the information will slip into the wrong hands. With love interest Pepper Potts and best friend James "Rhodey" Rhodes by his side, Tony forges new alliances and confronts powerful new forces, including the son of a dying Russian physicist who’s out for revenge against him. Iron Man 2 has an all-star cast, including Oscar nominee Robert Downey, Jr. as Tony Stark, Gwyneth Paltrow as Pepper Potts, Don Cheadle as James Rhodes, Scarlett Johansson as double agent Natalie Rushman and Natalia Romanoff and Mickey Rourke as Russian villain Ivan Vanko. The film was directed by Jon Favreau who also plays Spark’s bodyguard and chauffeur. 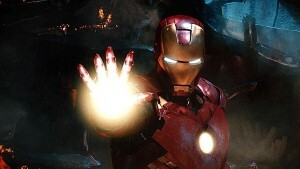 The movie is a bit more violent than the original Iron Man movie with more explosions, fights, bombs and action. Although there isn’t a lot of on-screen blood, parents should know that there are several dead bodies seen. In addition, there is a lot of sexual innuendo and scenes with scantily-clad women. The main theme of the movie is teamwork and the fact that Iron Man is stronger when he teams up with his best friend. The women in the film are strong characters, but are so sexualized that many parents may have trouble viewing them as role models for their kids.